What if I have a water emergency? Monday through Friday. 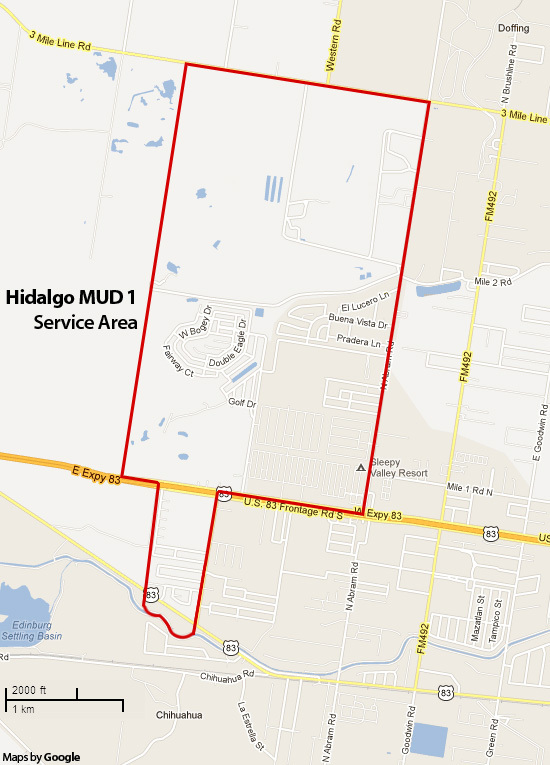 8:00AM – 5:00PM, call the office at 956-585-5821. After hours, same number, we will respond immediately. When would I receive a service call charge? When are bills sent and then due? Bills are mailed the first of the month and are due the 15th of the month. If no payment is received in 30 days, a shut off notice is mailed with the next month’s bill. Who is responsible for the water line? The homeowner is responsible from the meter to the house. The District is from the meter to the street. Please use the following diagram for reference, the blue area is our responsibility. What do I do if I have lower pressure than normal? First check the faucets closest to the meter box for pressure, if low contact us. If it's fine you might have an internal plumbing issue. Next, check the strainer on the faucet to see if it might be plugged. Check to see if water is coming up in the yard or curb box. Call the office 956-585-5821 for information about main breaks or hydrant flushing that may affect your water pressure. Why is my water bill so high – could I have a leak? What if I have a sewer backup? Monday through Friday. 8AM – 5:00PM, call the office. After hours, same number, we will respond immediately, if service men determine it is on customer’s end, a service charge of $15.00 will be applied to account. My water is sometimes cloudy, but it clears up. Can I drink it? Yes. The cloudiness is caused by air being trapped in the water. The water is completely safe to drink and it clears up by itself usually very quickly. My water bill is unusually high this month. What is the cause? •	Additional indoor water use during the month that may have resulted from house guests or visiting family members using additional water for showers or other sanitary purposes during the month. •	Additional outdoor water use during the month such as car washing or lawn irrigation. 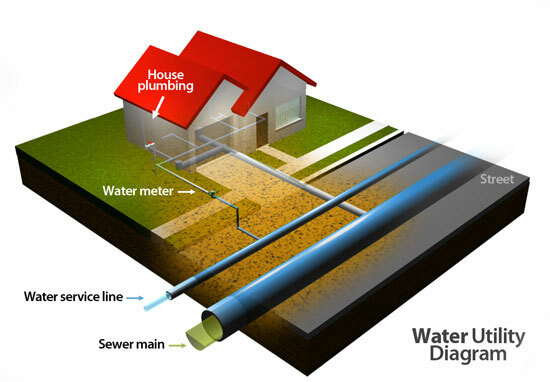 •	Water leak at a point after the water has passed through the water meter. One of the common locations of water leaks in a home or business is a bathroom toilet. A faulty valve in a toilet can permit water to pass through it and into the sanitary sewer without any external evidence of leaking. If a leaking toilet is suspected, it can be checked by at least two methods. The first is placing a few drops of food coloring in the toilet tank. If the valve is leaking, the colored water will enter the toilet bowl without flushing. A second method is to record the water meter reading in the evening after all water use for the day ceases. The following morning record the meter reading. Make sure that a water softener did not cycle during the night. If the readings are different, a toilet may have leaked and registered water use during the night. I am selling/buying a house, what do I do? The Water Department reads meters on a quarterly basis as well as monthly, we do not reread for property owner changes. Your bill can easily be estimated and credited as part of your closing costs. IT SHALL BE THE CUSTOMER’S RESPONSIBILITY TO PROVIDE THE DISTRICT OFFICE WITH THEIR MOST CURRENT MAILING ADDRESS.